Brilliant skiing for absolutely everybody. Very snow-sure, an amazing lift system and spectacular scenery. Beautiful hotels in an attractive, convenient village. Folgarida is a modern resort in the middle of a sweet smelling pine forest and only 9 kilometers from Madonna di Campiglio. It is and ideal spot for those who love winter sports and want to enjoy a peaceful and relaxing vacation with family and friends in the mountains. The resort represents a real paradise for ski and snowboard enthusiasts. Thanks to the connection of slopes and lifts to nearby resorts of Marilleva and Madonna di Campiglio, it is easy to move around freely in a beautiful ski area with 120 Km of slopes and 47 high-speed lifts. Folgarida is situated in the Dolomites, which is home to some of the best skiing in Italy and with only a short drive by car or with the free bus service, it is possible to increase the options to experience other resorts of Skirama Dolomiti Adamello Brenta. This expands your available ski and snowboard area to 340 Km of slopes and 140 lifts. The slopes are well maintained thanks to the daily work of several powerful grooming machines. If nordic or telemark is more your style, only a few kilometers distance in the direction of Madonna di Campiglio, cross country ski lovers can find beautiful tracks at Campo Carlo Magno, as well as in Commezzadura in Val di Sole. 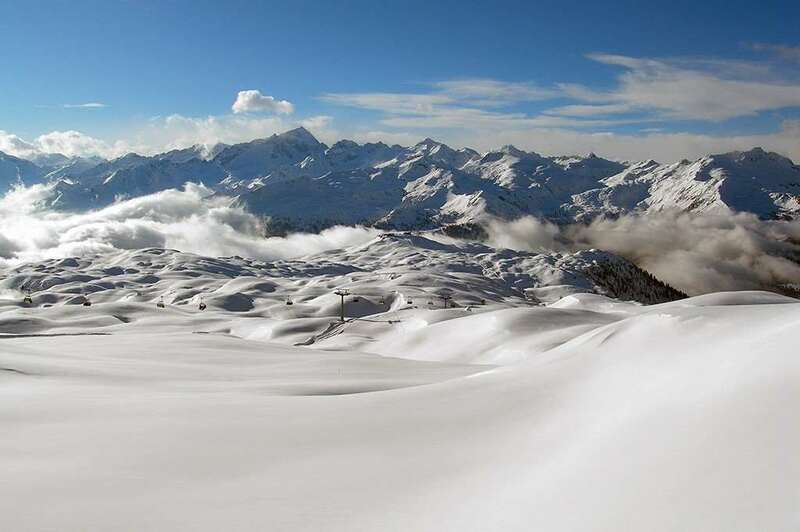 Snow in this area is abundant due in part to the vicinity of the Ortles Cevedale group – one of the highest oriental Alps – and good skiing is further guaranteed by the significant investment of snowmaking facilities, that now cover almost 90% of the ski area. Folgarida atmosphere offers all of the essential services you need including covered parking, restaurants, shops, ski and snowboard rental, ski-school and mountain warming areas. Moreover, there is a wonderful Ice Stadium where you can test your skating ability or challenge your friends in a broomball match. In the evening visit the Congress Centre – where there are new movies,organized meetings, exhibitions , sporting and cultural events. Or go over your ski lesson again at the new Stadium for night skiing. The nearest airport to Folgarida is Verona which is around a two hours transfer from resort. The nearest train station is at Rovereto. Excellent little resort with a good lift system and easy access to Madonna Di Campiglio. Brilliant, especially Jo our Rep. I would go again. Highly recommended. Mr Lupo.